We’re bringing you a $50 Visa Gift Card Giveaway to our favorite Giveaway Bandit fans! Yes, that’s all of you! 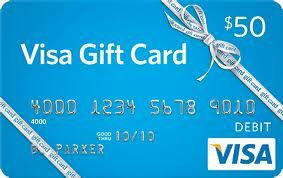 The winner will get to select a $50 Visa Gift Card or PayPal Cash. Giveaway is open worlwide. If winner selected is outside of the US they will automatically receive the PayPal Cash.Giveaway ends January 28, 2013 at 11:59 pm EST. Enter via the entry form below. Good luck! crazy we all have to stand together and fight to stop the upper footage.. I never heard of this. It does sound pretty bad. I understand that what people call art differs but sometimes they go too far I think. I’m with you! It looks like its pretty bad. I don’t think it is real because it would never be released if it were. With all the attention it has received, the cops would be involved if it is real. I don’t support censorship of any kind, so I can’t support banning this film based on the information provided to me. Should it become clear that it is real and not just Hollywood playing us, then I would sign a petition to get it investigated. I hope you understand. What this is seems unclear. Originally, extortion of some young, wealthy guys by someone in possession of the video? A sick spoof? Whatever it really is, the bottom line is the people showing the film in a theatre are trying to make money by appealing to base, prurient desires. Worthless trash in any case. Yes we need to stop this. i guess its not surprising that tarantino is involved with this. he directs some strange stuff. anything for the almighty dollar … so sad … can you imagine how the girl’s parents must feel about all this? Not heard much about this one yet it seems like it a bad one indeed thou. Just movie industry need too change listen too what we want. What do you want done to stop the upper footage film? Let me know. It is really an awful and horrible incident. I support you for this. I can’t believe that this movie has even got this far. It is so disgusting that people would allow this to be shown for entertainment and profit from it. I’m not sure if my comment went through! I would not want to see a movie like that! I am horrified that someone would think this was a good idea or even a good film. Thank you for bringing it to the attention of parents and the movement to have it pulled! How horrible people have become just to make a dollar and to call something like this art or entertainment….just disgusting. Wow this is a little bit over the top. This is beyond trashy for them to even pass it as art is a shame! We need to stop this now! I don’t know what I’m suppose to post? Mark Cuban has invested in this??? Really??? EXPOSE IT THEN!! We really don’t need any of this trash!! Something must be wrong with my browser – I can’t see what film is being referred to! This is just a “found footage” horror movie, a lot like the Blair Witch Project, though it is probably a lot more graphic. Rumor is that Tarentino may be involved.